We are a leading Manufacturer of bosch glm 80 professional laser rangefinder, bosch optical level, bosch line laser professional, bosch glm 250 vf professional laser distance meter, bosch dle 40 professional laser distance meter and leica laser distance meter from New Delhi, India. 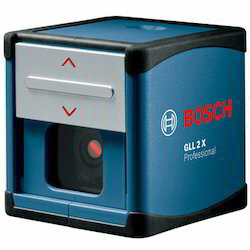 Being one of the reputed organizations in the market, we are engaged in offering an exclusive range of Bosch GLM 80 Professional Laser Rangefinders to our precious clients. Our offered instruments are designed using the best quality raw material and advanced technology under the guidance of our skilled personnel at vendors end. These devices are tested on well-defined parameters of quality, in order to offer flawless product at clients' end. Further, clients can avail these products from us in various sizes and customized options. Laser Diode : 635nm, < 1mW, Measurement Range : 0.05 – 80m, Laser Class : 2, Measurement Accuracy, Typical : ± 1.5mm, Measurement Time, Typical : <0.5s, Measuring Time, Max. : 4s, Power Supply :1 x 3.7 V Li-Ion Battery (1250 mAh), Automatic Deactivation : 5 min., Length 111 mm, Width 51 mm, Height 30 mm, Units of Measure : m/cm/mm, Memory Capacity (value) : 20 + 1, Continuous, indirect, multi-wall, surface, min & max., Length, Area & Volume, Button Functions, Memory recall & Memory addition and subtraction, Equals button, Permanent laser pointer, button, Cancel and on/off. 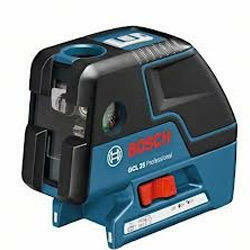 Being a customer oriented firm, we are engaged in offering Bosch Line Laser Professional Professional to our prestigious clients. Our knowledgeable professionals make use of premium grade raw material and modern technology in order to manufacture our offered range in line with the set industry standards. In addition, this product is thoroughly inspected by our quality experts to ensure its unmatched quality and durable finish. We are identified as one of the most competent of this industry for offering a wide gamut of Bosch GLM 250 VF Professional Laser Distance Meters. These meters are designed using premium grade raw material and latest technology in synchronization with the set of international standards. In addition to this, our offered products are highly appreciated by our clients for their high-performance features, which are instilled as per requirements of our clients. 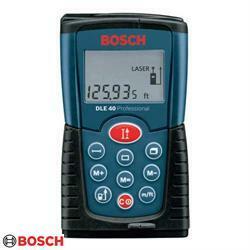 From our wide range of products, we are offering excellent quality Bosch DLE 40 Professional Laser Distance Meters that are highly in demand among our clients. These are manufactured using finest quality material by our skilled engineers. The offered range is quality tested by our skilled designers on various parameters. In addition to this, our esteemed clients can avail these products from us at industry leading prices. 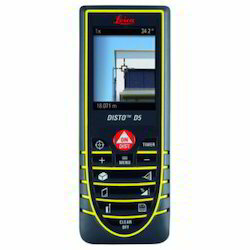 With our rich industry experience in this domain, we are introducing a comprehensive assortment of Leica Laser Distance Meter that is available in different specifications. This meter is manufactured using quality assured raw material under the strict supervision of our qualified professionals. Manufactured as per the requirements of our clients, offered meter is tested on diverse parameters to ensure its reliability and efficient functioning. 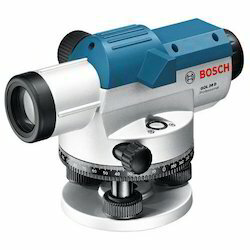 We are reckoned amongst the most trusted name engaged in offering a superior quality range of Bosch Cross Line. This line is manufactured by our experts following high definition engineering principles and utilizing optimum quality raw material. The offered line is tested properly against various parameters in order to deliver defect free range. Apart from this, client can purchase this line from us at affordable prices within stipulated time frame. 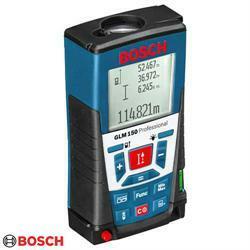 Looking for Bosch Measuring Instruments ?